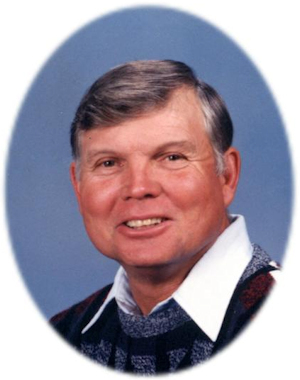 Obituary – Karcher, Clarence Fred “Sonny” « Perry High School Alumni Association, Inc.
Sonny Karcher, 67, of Morrison, Oklahoma, was the son of Fred and Rosella Alfrida (Pagel) Karcher. He was born on May 22, 1944 in Enid, Oklahoma and died Friday, November 11, 2011 at his residence in Morrison, Oklahoma. Sonny joined the US Army on March 10, 1963 and was honorably discharged on January 9, 1969. He married his best friend Patricia Ann Williams on April 8, 2003 in Sumner, Oklahoma. Sonny had a passion for raising pigeons and raised them for over 65 years. Along with pigeons he raised chickens, rabbits and goats. He was also known for taking the time to mentor so many young men and women when he owned his lawn service business through counseling and just taking the time to talk with them. Sonny was an avid hunter and fisherman but most of all he enjoyed spending time with his family. He was a member of the American Pigeon Association where he received a lifetime achievement award. He is also a member of the Zion Lutheran Church. Sonny was a loving husband, father and grandfather “Papaw Sonny” who will always be remembered by his friends and family. Funeral services will be 2:00 p.m. Wednesday, November 16, 2011 at the Sumner Baptist Church in Sumner, Oklahoma. Pastor Albert Quick will officiate. Services are under the direction of Brown-Dugger Funeral Home of Perry, Oklahoma. Sonny is survived by his wife, Patricia Ann Karcher of the home; one son, Troy Karcher and his wife, Dallas of Stillwater, Oklahoma; one sister; Katherine “Kathy” Lewis and her husband, Roger of Perry, Oklahoma; one step daughter, Casey Templeton of Bartlesville, Oklahoma; two step sons, Kurt and Marybeth Swart and Nicholas Swart both of Bartlesville, Oklahoma; nine grandchildren and two nieces. He was preceded in death by both his parents; one nephew and one great niece.